Home Health Could CT scans cause cancer? Jean Hanvik decided that enough was enough. When a painful intestinal inflammation flared in 2014, the 55-year-old benefits communications consultant balked at her doctor’s recommendation that she undergo another abdominal CT scan her fourth in eight years. “I’d just read about how abdominal CTs are one of the highest-risk tests [in terms of radiation exposure] and should not be repeated unless there was a major change,” said Hanvik, who lives in Minneapolis. In the past, antibiotics and a bland diet had quelled her recurrent diverticulitis. Hanvik said she wanted to follow that approach again but avoid a scan, which contains about 10 millisieverts (mSv) of radiation, the rough equivalent of 200 chest X-rays or 1,500 dental X-rays. “I don’t think she appreciated my uncharacteristic behavior,” said Hanvik, adding that her primary care doctor reluctantly agreed, but made her promise to return within 48 hours if she did not improve. Hanvik got better, as she had previously. Hanvik’s newfound assertiveness and her questions about the necessity of a CT scan reflect a growing awareness of the potential pitfalls of diagnostic imaging, which in the past two decades has exploded into a $100 billion-a-year business. 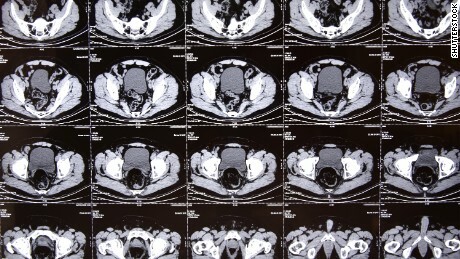 Imaging has aided diagnosis and helped many patients avoid exploratory surgery, but it has also spawned concerns about misuse. Experts cite ballooning costs, including from duplicate procedures, potential harm from the tests themselves and the overtreatment of harmless conditions found during scans. These “incidentalomas” so named because they are found unexpectedly include benign lung and thyroid nodules and other common conditions that can lead to unnecessary and expensive workups as well as treatment that can cause complications.